The final part of the strategy is about the actions we will take to build on our strengths and meet our challenges. Lambeth and its partners will work together to achieve our objectives. to larger scale offices in the borough. Lambeth will take a stronger advocacy role for workspace in new development. The council will use its planning powers to safeguard and grow the volume of workspace in the borough. Using some of our own assets, we will bring forward exemplary new workspace projects that help to build local clusters. The council’s Local Plan review will introduce a stronger policy framework for affordable and supportive workspace in response to the new London Plan policy ED3. The review provides the opportunity to test an affordable workspace policy for key growth areas supporting business incubator spaces and cultural workspace facilities. We will also provide supportive content to adopted Local Plan policies to be more descriptive in terms of the relationship to the creative and digital economy and the need to provide different spaces in different locations in the borough. We will develop an ‘Approved Providers’ list and hold ‘meet the provider’ sessions, bringing together landowners, developers, and workspace providers with creative and technology specialisms. The council will continue its role participating in the Mayor’s Workspace Providers Advisory Group, and work with the Greater London Authority on developing a best practice guide to securing workspace through the s106 process. We will seek to gain Government exemption from Permitted Development Rights in the Central Activities Zone, and in other areas where there have been detrimental impacts on our local economy through office to residential conversion, e.g. Streatham. Local workspace providers, BIDs, and the council will continue to collaborate on funding applications to relevant programmes to increase workspace provision in the borough, e.g. 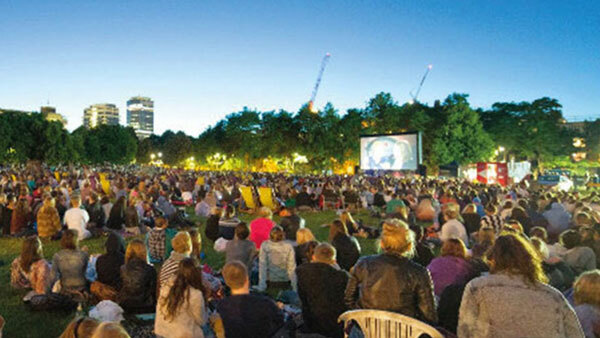 London Regeneration Fund, Arts Council Capital Programme. The next phase of the Lambeth Works programme will bring forward four new creative and digital industries focused workspaces using our own assets, at: 30 Wootten Street (SE1), Your New Town Hall, Brixton Rec, and International House (SW9). We will also finalise research exploring the potential for new workspace projects within the West Norwood Commercial Area and Streatham. We will work with property owners (e.g. Capital Tower and Mercury House, Keybridge House, Tintagel House, 422 Brixton Road) to attract high quality creative and technology businesses, accelerators and workspace providers to take on existing space opportunities in the borough. Streatham BID and Hideaway will seek to launch the first co-working space for creative businesses in Streatham. and technology sectors can play in the coming years. In addition to the planning, business, culture and investment, and regeneration teams within the council, there are several service areas that can make a collective contribution to becoming an increasingly business-friendly organisation for the creative and technology sectors. We will evolve the Lambeth CDI Advisory Group into a Lambeth CDI Board to monitor delivery of the strategy; champion and advocate Lambeth’s CDI economy. This group will involve our business communities, voluntary and community sector, and different service areas of the council to help make connections and identify opportunities for collaboration. We will promote Lambeth’s Business Rates Hardship Fund to small CDI businesses and workspace providers adversely affected by the Government’s business rate rises. Our Education team will work closely with industry to increase the number of high quality work experience placements provided by creative and technology businesses in the borough. The team will also use the Careers Cluster project to broker new work experience opportunities in the creative and digital economy, financed through the GLA and European Social Fund. We will continue to be an event-friendly council, encouraging and supporting the technical learning required to stage events that bring vibrancy to Lambeth’s places. Our Licensing team and BIDs will work jointly to ensure night-time economy businesses are a key guiding voice supporting the council’s Licensing Policy Review and the potential production of night-time economy visions in response to the new London Plan. We will increase the capacity of the Business, Culture & Investment team to help drive delivery of the strategy and be a first point of contact for existing and new creative and technology businesses seeking to locate or expand in the borough. We will expand the Lambeth Now platform to publicise the CDI Strategy; showcase Lambeth’s creative and digital business communities; and expand the website to include town centres currently not featured — communicating the growth potential and key site opportunities to investors and developers. We will become the first local authority member of the Creative Industries Federation, and remain an active member of Capital Enterprise, helping the council to build the pipeline of business interest in the borough, identify new partners and funding opportunities; understand the latest issues affecting the sectors, and join relevant lobbying efforts and campaigns. Lambeth and BIDs will join together to add voices to the growing central London lobby for better broadband infrastructure. Whilst the council can make an important contribution, evolving a stronger business ecosystem will require business communities and enterprise support bodies to take the lead. In many instances, our role will be to encourage new ways to support sector growth, make connections and encourage partnership working. 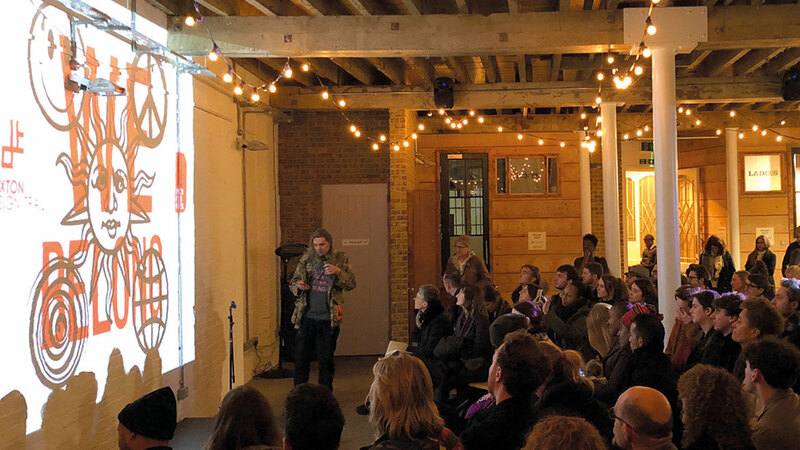 We will work with BIDs and local networks to establish a Lambeth Creative Network, bringing large and small business together to network and foster opportunities for collaboration. London South Bank University will deliver four new European Regional Development Fund business support programmes, including a new initiative to support business innovation in the immersive tech sector. 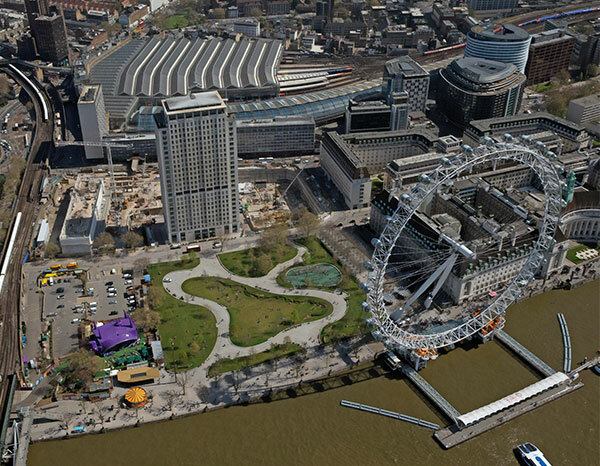 Group to explore establishing the South Bank as a new core events zone for London Tech Week. Brixton BID, Brixton Design Trail and the London Design Festival (LDF) to increase their impact during LDF. We will encourage major businesses and cultural institutions in the borough to develop new accelerator programmes to support innovation and growth in their sectors. This will include the encouragement of accelerators that are committed to targeting founders from underrepresented backgrounds. We will proactively seek out accelerator and business support providers requiring space to locate in the borough. Within the workspace initiatives we drive forward, we will ensure these provide spaces for business support events and where possible provide tenancy opportunities for business support providers. As part of our Community Infrastructure Levy investments, we will undertake R&D to map out a strategy for tackling the broadband connectivity issue in the borough. Our Radical Hearts, Open Minds publication surfaced and celebrated Lambeth’s extraordinary cultural history and future aspirations. It also highlighted the potential for more cultural programming in the borough which can draw on the radical and open identity of our people and places. We will encourage partners making investments in cultural programming to work with local communities (including those identified as priority groups within the Equalities Commission Report) to produce new work and events that support, celebrate and reflect our diverse communities. We will encourage projects that help Lambeth to become a more visibly creative and cultural borough outdoors, including bringing to life places in the borough which are currently underserved. We will develop a fundraising strategy in partnership with large scale and grassroots cultural organisations to take forward several project ideas contained within our Radical Hearts, Open Minds London Borough of Culture bid. 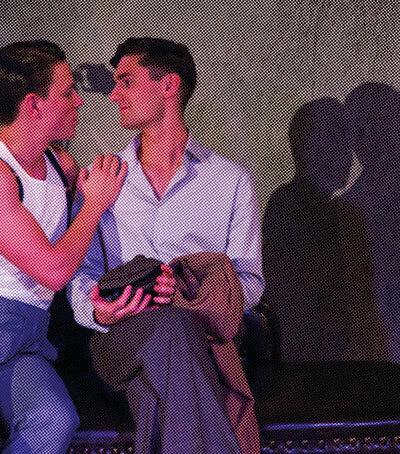 WeAreWaterloo BID’s investment in The Vaults Festival, cementing its place as London’s largest performing arts festival. 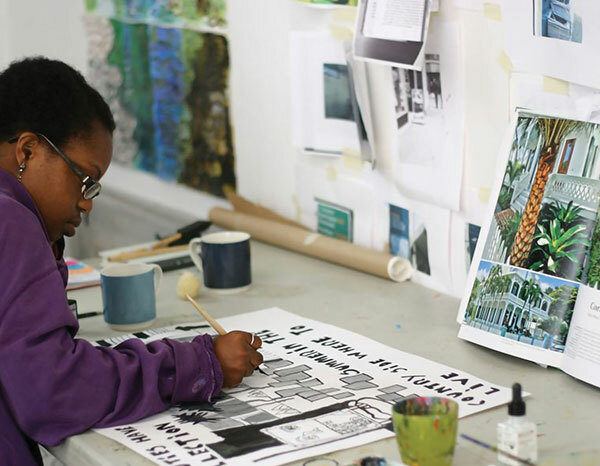 Lambeth will explore co-commissioning opportunities for new cultural programmes with BIDs, local developers, landowners, TFL’s Art on the Underground and other sponsors. 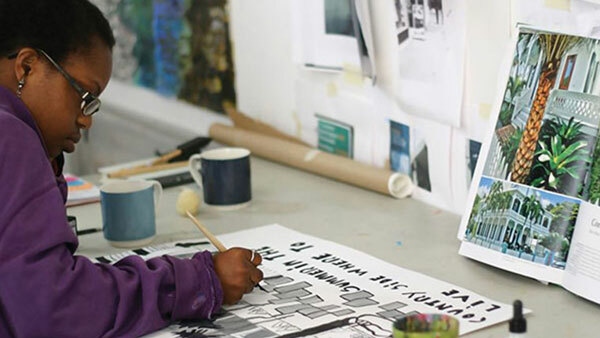 Following the submission of our Brixton Creative Enterprise Zone (CEZ)application in July 2018, we will continue to seek CEZ status and funding. In response to the new London Plan Lambeth will consider the potential for additional Creative Enterprise Zones (e.g. West Norwood Commercial Area) and Cultural Cluster status for different parts of the borough through the Local Plan review process. 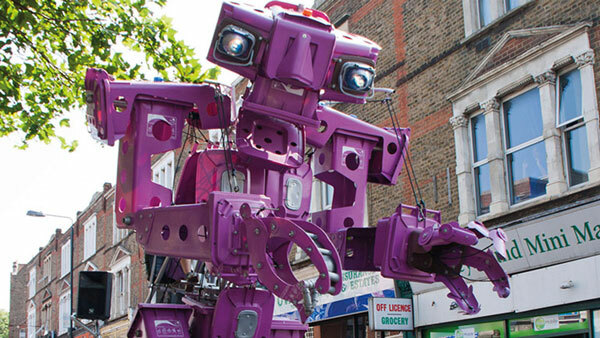 We will encourage more public displays of Lambeth-produced creative and digital work (e.g. through street-frontage and hoardings, displays and installations) building on the best practice developed in partnership with Brixton Design Trail and Brixton BID, and Clapham BID and Studio Voltaire. We want to see creative and technology growth make an outstanding contribution to tackling inequality, and help forge a positive future for new generations. With employer-led responses, and with support from education and the mission-driven creative and technology sector, we want to be at the forefront of innovative approaches to tackling inequality. The Index of Multiple Deprivation, data from Lambeth schools and The Audience Agency, and Equalities Commission findings will guide interventions at those in most need. By working with local, grassroots organisations who work with particular communities, we will aim to engage those who are typically the hardest to reach. With support from the Mayor of London, we will kick-start the Next Generation campaign with a range of partners (including South Bank Cultural Partners, B3 Media, Culture at Heart partnership and others) to provide skills, jobs and opportunities for young people and those underrepresented in the creative workforce. We will work with BIDs to engage and support employers to introduce new policies and projects that change employer practices to tackle inequality of opportunity. The ERIC Festival will work with the council, The Old Vic, and other local employers to stage a series of innovative careers fairs, providing guidance, social capital and opportunities to showcase the best young creative talent in the borough. for Lambeth primary schools, as well as a new Lambeth Cultural Trail and learning tools. Working with We Rise, we will pilot the Young Opportunity Lambeth Offer (YOLO) project for young people at risk of not securing a positive post-school destination (assessed at Year 9) in two local schools (Elmgreen and Norwood). Working with the School Improvement team and Lambeth Schools Partnership, we will raise awareness of the existing curriculum development support and extra-curricular creative education offer provided by cultural partners. 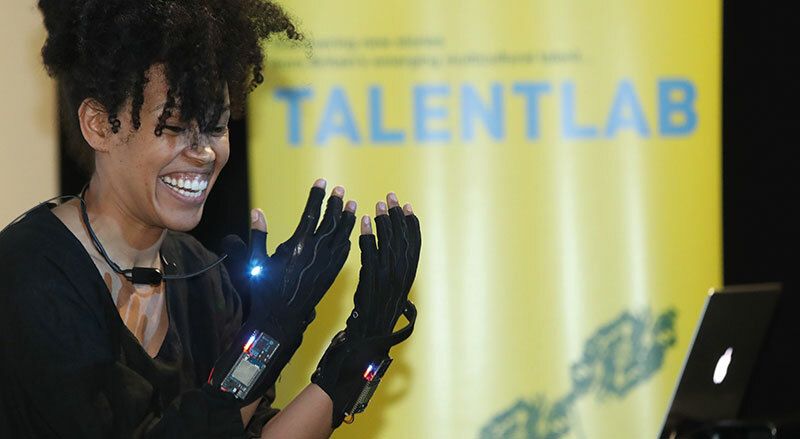 Lambeth and local workspace providers will work with advocacy groups including UK Black Tech, Advocacy Academy and others to promote affordable workspace opportunities for BAME-led creative and technology entrepreneurs. Working with Raw Material, Photofusion and Hatch Enterprises, 198 Contemporary Arts & Learning will seek to redevelop its site in Herne Hill, tripling the space by building a 3 storey arts, education and creative enterprise centre. The Old Vic is delivering programmes Inspire and Take the Lead which target employability skills and address issues of social mobility. These programmes will engage more than 1,000 young people in Lambeth. Working with the Mayor of London, developers, property owners and workspace providers, we will bring forward a range of range of workspace options to support creative and digital businesses of different stages and sizes — from business incubators, co-working, artist and maker spaces, to larger scale offices in the borough. 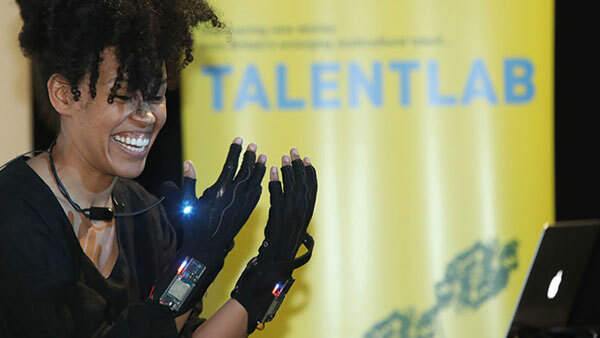 Lambeth wants to clearly communicate at a London-level that the borough values the distinct contribution to inclusive growth that the creative and technology sectors can play in the coming years.